Rahul Sardesai – Exclusive mix for bejbi.se. The seventh of our series of exclusive mixes..
Click ”see the rest of this entry” to read more about Rahul and to download the mix. Born in Doha, Qatar in 1980, his earliest recollection of music in life was when his Dad were playing cassettes of Abba, Boney M and The Beatles. What sparked his interest in EDM was listening to Saltwater and Flaming June on MTV. To borrow a term from a famous compilation “Pure Euphoria” seemed like a pretty apt description of how he felt when he heard those tracks. He developed an interest in the art of deejaying and in the summer of 2000, he learned how to deejay. 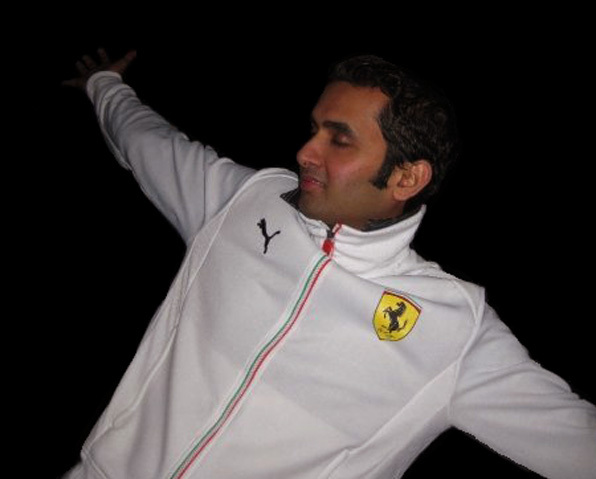 Over the next few years, starting in 2000, he played in some of the biggest clubs in Mumbai, such as Athena, Lush & Ra, but he quit deejaying professionally in 2006. However, his love of mixing music inspired him to create the In Sessions mixes. Initially he had put together the sessions just as something that he could listen to in the car while he was driving, so that he could listen to all the tracks that he loved as a DJ set. The whole idea was that In Sessions should be representative of a DJ set that he would play in a club. He gave the CDs to his friends whom he knew liked the music and gradually more and more friends and their friends heard it and they liked it as well. Currently he create a mix whenever there is enough good music for two sets. But he did not want to set a specific time frame for the releases because music or atleast tracks that he love are not always released in an even manner. For e.g some weeks you can have 7-8 tracks which are amazing and the other weeks you won’t even find one. So when the whole point of releasing In Sessions was quality music, having a time frame didn’t make sense. Now, he have to tell you that the favorite genre of music is Trance, so while the In Sessions series have an overwhelming majority of Trance tracks (about 60%) there are other genres that are also in there. Personally, he had always believed more in how good music is and he haven’t really concerned himself with the whole pigeon holing of music. Now he´s the seventh one out for a series of exclusive mixes recorded for bejbi.se by our favorite dj´s, both well known, and unknown, that we will publish once a week untill we run dry. Download Rahul Sardesai´s Exclusive mix here (right click and save as) or listen to it live on Soundcloud or just press play below here. If you want more of Rahul, check out his podcast insessions.in or join his facebook group to get older ones. 2 Responses to " Rahul Sardesai – Exclusive bejbi.se mix "